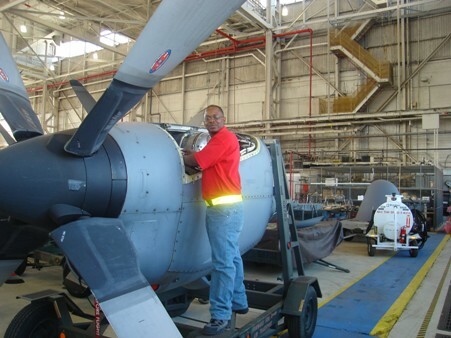 The monetary relief for former Lockheed employee Charles Daniels is the largest amount ever obtained by the EEOC for a single person in a race discrimination case, and one of the largest amounts recovered for an individual in any litigation settlement by the agency. Additionally, the Bethesda, Md.-based company agreed to terminate the harassers and make significant policy changes to address any future discrimination, the EEOC said at a press conference in Hawaii. The EEOC’s suit, filed in August 2005, alleged that Daniels was subjected to severe racial harassment while working on military aircrafts as part of a field service team in Jacksonville, Fla., Whidbey Island, Wash., and Oah’u, Hawaii. The EEOC charged that Daniels was the target of persistent verbal abuse by coworkers and a supervisor whose racial slurs and offensive language included calling him the “N-word” and saying “we should do to blacks what Hitler did to the Jews” and “if the South had won then this would be a better country.” Daniels was also subjected to multiple physical threats, such as lynching and other death threats after he reported the harassment. Despite its legal obligations, Lockheed failed to discipline the harassers and instead allowed the discrimination against Daniels to continue unabated – even though the company was aware of the unlawful conduct. The litigation and consent decree were filed by the EEOC under Title VII of the Civil Rights Act in the U.S. Court for the District of Hawaii (U.S. Equal Employment Opportunity Commission v. Lockheed Martin, CV-05-00479). Racial harassment charge filings with EEOC offices nationwide have more than doubled since the early 1990s from 3,075 in Fiscal Year 1991 to approximately 7,000 in FY 2007 (based on preliminary year-end data). Additionally, race remains the most frequently alleged basis of discrimination in charges brought to the EEOC, accounting for about 36% of the agency’s private sector caseload. The EEOC enforces federal laws prohibiting employment discrimination based on race, color, gender, religion, national origin, age and disability. Further information about the EEOC is available on its web site at http://www.eeoc.gov. This page was last modified on January 2, 2008.